Craig has a baby boy with the same accent as his. 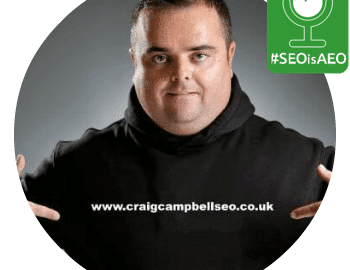 Craig gets me excited about Facebook (quite an achievement), we agree we should avoid Instagram… and then tells me about the right automation tools to use and the pitfalls to avoid. Basically, he gives me my Social Media strategy for 2019 and tells me what I should be doing in 2020 :) And, apparently he and I connected thanks to a bot. Sounds weird now I write it.